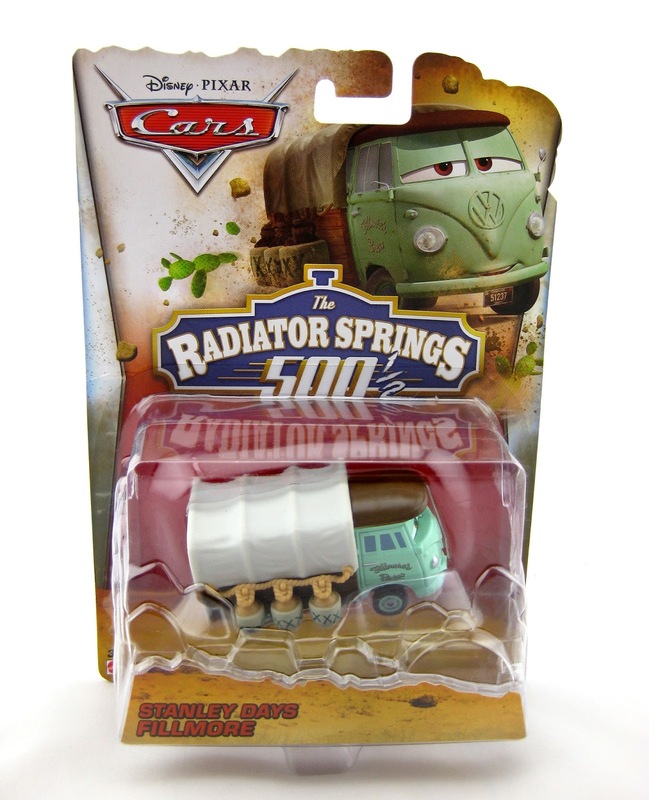 In late May 2014, Disney·Pixar released their most recent Cars Toon ("Tales from Radiator Springs") called The Radiator Springs 500 1/2. The short was released exclusively online via the Disney Movies Anywhere app (if you missed it originally, you can currently watch it HERE). 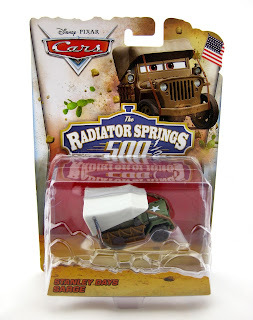 Not long after the release of the Toon, Mattel released a collection of awesome diecast cars based on characters from the film (see my full write-up on those HERE) and a playset (seen HERE). 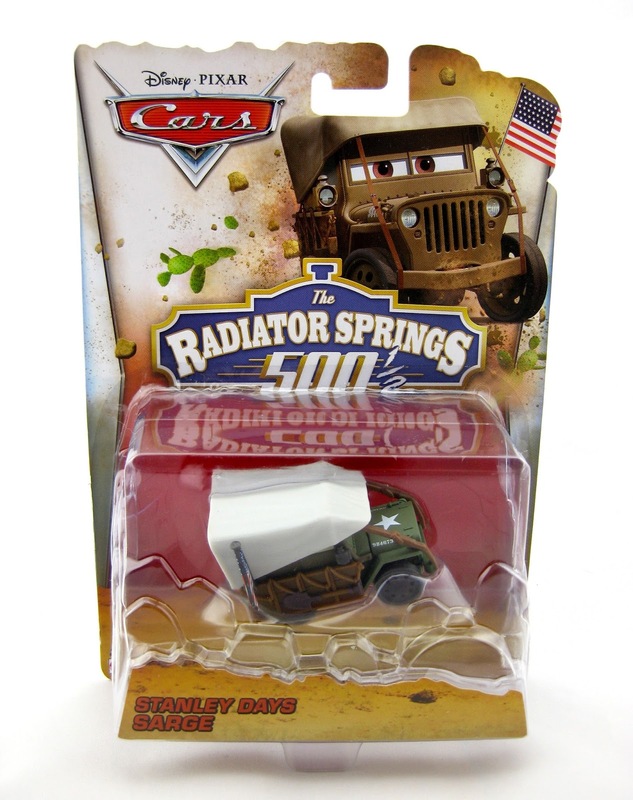 Luckily for us Cars diecast fans, even more new characters from the RS 500 1/2 have been coming out this year, long after the Toon's release! Earlier this year, a "Stanely Days" Ramone came out (only in a 3-pack, see post HERE) and now two more have just hit shelves..."Stanley Days" Sarge and Fillmore! These are such fantastic diecasts based on these characters' hilarious early 1900's outfits seen in the short. 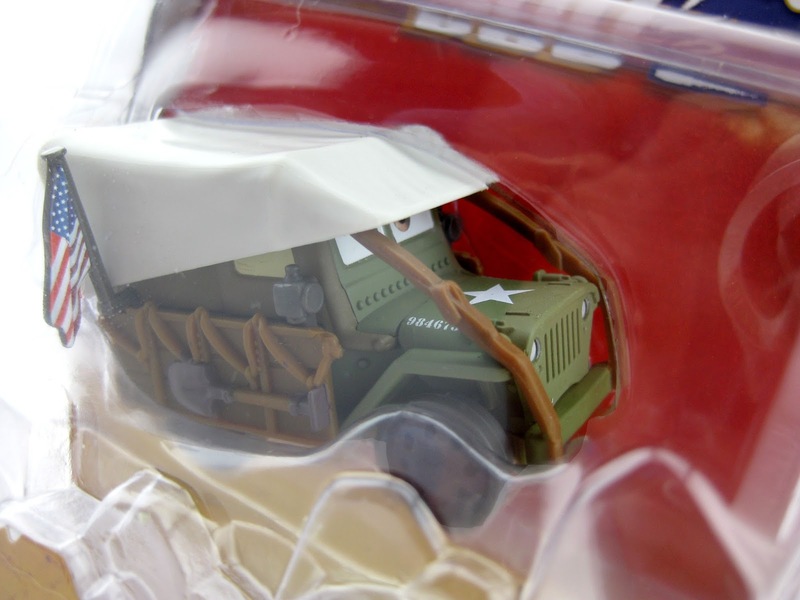 First off, lets check out Sarge. He has some type of canopy over his top, an American flag and a wood looking covering off to the sides (with a shovel). He appears to be dressed up as a Pioneer covered wagon. Great film accurate details! Fillmore also seems to resemble a Pioneer covered wagon, but with some wiskey jugs hanging off the sides. 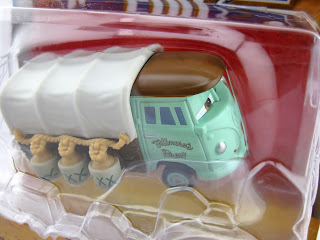 "Fillmore's Brew" is written on his door. He pulls off the look for sure! Here is the back of the packing to both of these. 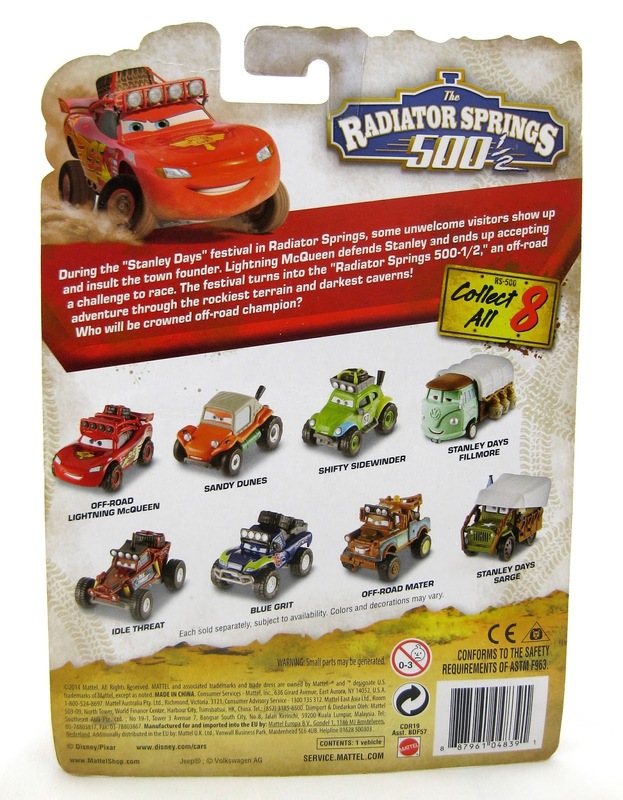 You can see that there are eight cars to collect (not counting the Ramone). Unfortunately, these two seem to be the last characters based on the short to be released. I haven't heard any word on a Stanley Days Mater (dressed as Stanley), Lizzy, Guido & Luigi, Sheriff, Flo, Red, Sally or a coconut Mater. Here's to hoping though! 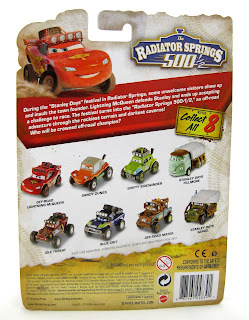 The rest of the characters would make such great diecasts. I just love the look and paint jobs of all the cars in this toon. You can find these two in stores now or visit Amazon using the direct link below. Good luck on the hunt and please let me know if you have any questions or comments!